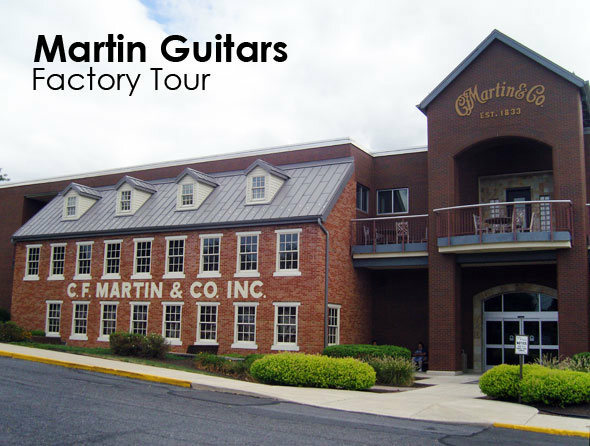 PENNSYLVANIA'S OFFICIAL TOURISM WEBSITE lists the Martin Guitar factory in Nazareth as a "must see" destination, encouraging visitors to "experience the intrigue and excitement as highly skilled craftspeople transform wood into music." Watching firsthand the complex process that turns rough lumber into beautiful guitars, the thousands who visit each year leave with a deep appreciation of the instrument maker's art. An exceptional factory, a manufacturing tradition dating back to 1833, and credit for creating the modern flat top acoustic guitar are reasons Martin is a genuine American institution. Yet, as of this year, the company no longer labels the guitars that leave its Nazareth plant as "Made In USA." A reasonable person might ask, "how is this possible?" The answer lies with a poorly drafted California statute and the aggressive lawyers who exploit it. California's Unfair Competition statute states that for an item to be designated "Made in the USA," "any article, unit, or part thereof," has to be "entirely or substantially made, manufactured, or produced" in the U.S. The California Supreme Court has interpreted this rule to mean that a "Made in the USA" designation requires that 100% of every piece of every part in a product must be made in one of the 50 states. Martin guitars, despite the labors of 600 craftspeople in Nazareth, don't make the cut because they incorporate imported woods, Asian and European built tuners, and synthetic nuts and saddles from Canada. The California statute has been on the books since 1961, but until recently, Martin shipped "Made in the USA" guitars into the state without incident. State regulators apparently were willing to apply a more lax "reasonable person" standard in assessing country of origin. Not so local trial lawyers. In 2006, they mounted a class action suit against Leatherman Inc., alleging "deceptive and fraudulent advertising," because the company had labeled its hand tools "Made in the USA" although some component parts were imported. Leatherman was hit with a $13.0 million judgment, although it was later reduced on appeal. In 2012, Lifetime, a maker of basketball hoops and backboards, faced a similar legal assault. They settled for $485,000 and paid another $325,000 to a designated charity after burning through $500,000 in legal fees. No one disputed that their hoops and backboards were produced at a Utah factory: their crime was using some bolts and washers imported from Asia. Faced with legal risks of this magnitude, Martin CEO Chris Martin took the prudent course, and earlier this year, replaced the "Made in the U.S.A." designation with "Crafted in Nazareth from components sourced from around the world." Martin's standing with guitarists worldwide, which rests on 182 years of quality production, won't suffer because of a labeling change. The instruments that have delighted generations remain much the same. Yet, the change is galling to a proud organization that has been an integral part of America's musical culture. It's like asking an artist to remove his signature from his painting. It also stands as a potent argument in favor of tort reform. Is there really a large contingent of Martin customers who claim injury because their guitars contained a few bits of imported plastic and metal? If so, we'd like to meet them. While we're waiting for them to gather, we conclude by noting that this costly absurdity erodes faith in our governing institutions.